In the spirit of reconciliation and diversity, we are committed to increasing our number of Indigenous employees. Please let us know in your application if you are First Nations, Métis or Inuit. Please share these posts widely with your networks. Please watch the Join Our Team page for upcoming job listings. We are always looking for people who are dynamic, entrepreneurial, exhibit strong leadership, take responsibility for their actions, have good judgement, are hard workers, love collaborating with a team, and care deeply about the environment and the wellbeing of society. Do you have a passion for how people and the environment interact? Are you looking to focus your background in fisheries and aquatic habitat on supporting positive human-environment interactions? 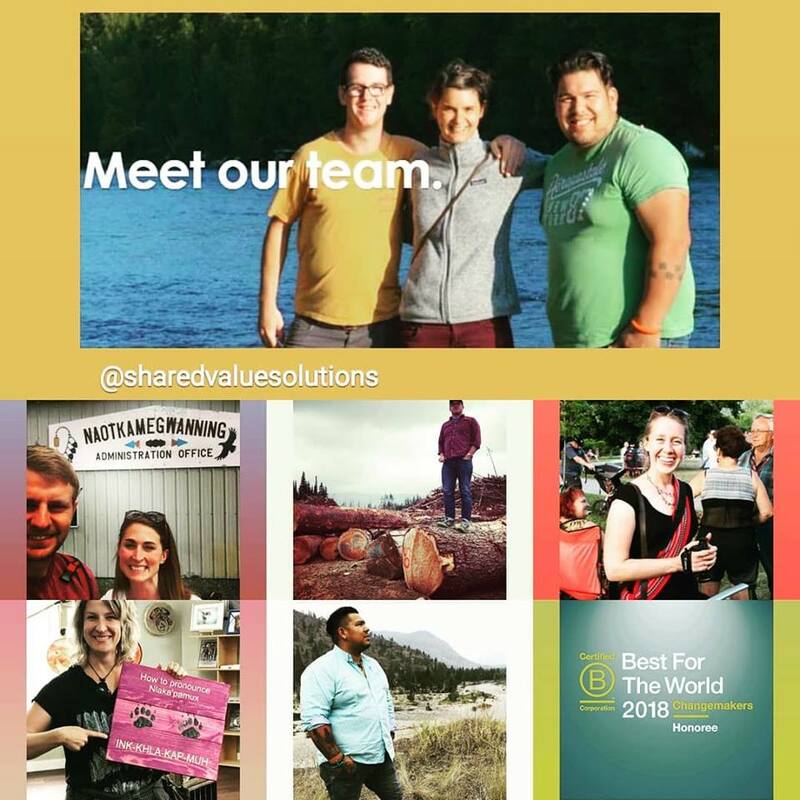 Shared Value Solutions (SVS) is seeking a consultant experienced with fisheries and aquatic habitat assessments, technical reviews of environmental approvals and regulatory processes, impact assessments, and the identification of appropriate mitigation, habitat compensation and accommodation measures. Some experience with the Duty to Consult and the incorporation of Indigenous knowledge in environmental processes would be an asset. The ideal person will be highly entrepreneurial and align with our relationship-based approach to business development. Don’t see the perfect post but you know you’d like to work with us? We encourage people with confirmed access to funding opportunities that would help fund your role at SVS to send unsolicited applications. The intention is to allow you to express interest in joining SVS in the near term (within roughly the next two years) and pitch us on the business case – from the standpoint of how you’d contribute to the growth and vision of SVS and how your role would be funded – without having to wait and hope for the right specific role posting. SVS’s head office is located in Guelph, Ontario, Canada. Salary and benefits are competitive and negotiable. We will continue to accept applications until we find the right candidates.